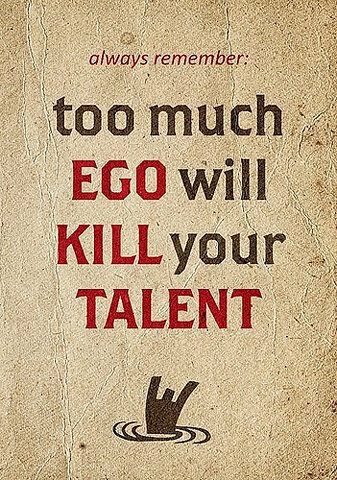 Always remember too much ego will kill your talent. If it’s natural to kill, how come men have to go into training to learn how? When you start fooling around with drugs, you’re hurting your creativity, you’re hurting your health. Drugs are death, in one form or another. If they don’t kill you, they kill your soul. And if your soul’s dead, you’ve got nothing to offer, anyway.